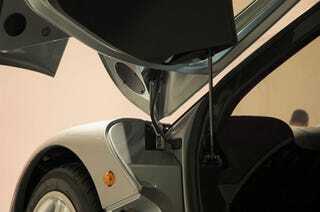 Best known for the iconic McLaren F1, Gordon Murray intends to do for the city car what he did for the supercar. Autocar reports that the Type 25 —to be fully unveiled in two years — will be smaller than a Smart car and cost about $10,000. Murray describes the car as an MPV with a modular design, enabling up to 14 different variations on its body style. Most interesting is his description of the vehicle's layout, "You don't sit normally in it, you don't get in and out normally, and you don't load luggage in the normal way," he says.